The single factor that determines success or failure in big business today is conversation. Great leaders use public and private conversation to send a clear message, cultivate a common worldview, set high standards and reachable goals, and uncover concerns that can undermine an organization. So what conversation are you, as a leader, having with your team? 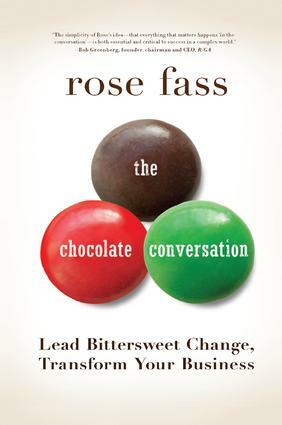 Experienced change consultant Rose Fass explains how too often we think we're having the same conversation - about "dark chocolate," for instance - only to be referring to three different things: milk, white, or bittersweet varieties. She shows us how to first establish common ground that leads to an effective discourse for addressing relevance, growth, and scaling: the three most important issues she sees in business today. In a light-hearted and humorous way, Fass shows how leaders can avoid a meltdown and instead drive transformation through the way they communicate in a language that all stakeholders can understand.